The 14th Symposium of the ICTM Study Group on Music Archaeology will be held in August 17-21, 2015, at the conference center and archaeological museum of Biskupin, Poland (near Poznań). 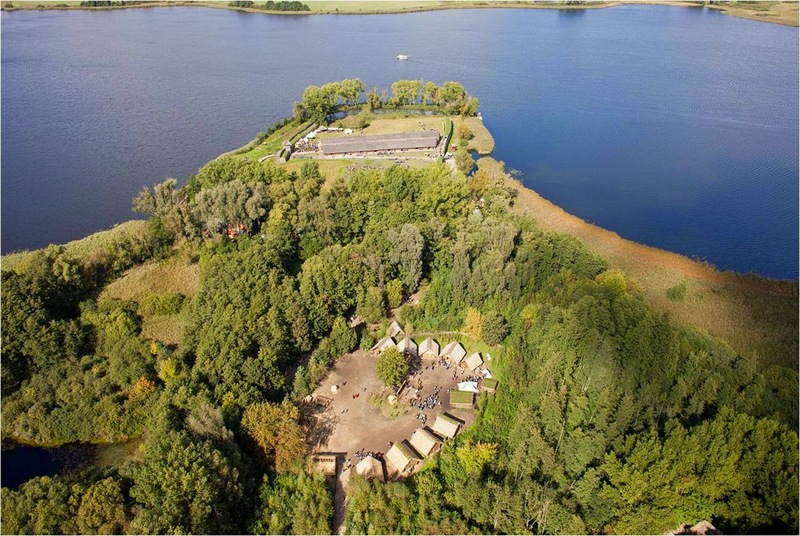 This wonderful venue is located in the nearby of Lake Biskupin close to the excavated and partly reconstructed Bronze Age site of the same name. In a way, Biskupin 2015 is meant to deepen the topics already raised and discussed during the last STG symposium in Guatemala (2013), focussing on the means and principles of interrelations between past music cultures, a field where is still much to be explored. The topic of the symposium is also related to the scientific goals of the European Music Archaeology Project (EMAP), which has been co-funded by the European Union for 5 years (2013-2018), and to which the ICTM STG is an associated partner. The symposium is co-organised with the Institute of Musicology, University of Warsaw, and will particularly focus on past music cultures across the European continent, and how these cultures were related with each other in terms of the interchanges in musical knowledge and practice. The time frame here is from the earliest evidence of music in the Palaeolithic period to medieval times. Other papers of the conference explore the mutual relations of past music cultures of the European continent with music cultures of Asia, Africa, and the Americas, which existed at certain periods of time. Members of the conference committee are Arnd Adje Both, for the ICTM Study Group on Music Archaeology (adje at zedat.fu-berlin.de), Dorota Popławska (d.poplawska at bacewicz.edu.pl), Anna Grossman, for the Archaeological Museum in Biskupin, Anna Gruszczyńska-Ziółkowska and Joanna Dubrawska-Stępniewska, for the Institute of Musicology, University of Warsaw (jdubrawska at gmail.com), and Olga Sutkowska (olga.sutkowska at udk-berlin.de). The recommended days for travelling to Biskupin are: Sunday, August 16 (arrival), and Saturday, August 22 (return). The nearest international airports are Berlin, for Germany, and Warsaw, for Poland. From Berlin you would take a train to Poznań. From Warsaw you would take a connecting flight to Poznań, or a train to Poznań. From many European countries are also direct flights to Poznań, operated by low-cost airlines (see links below). From Poznań (airport & train station) we will organize shuttle transfers to Biskupin. The fare will be 20€ or 25€, according to the transport time (one way). Before, after, or during the symposium, individual shuttles to the bus station of Żnin (nearest bus stop for buses from and to Poznań) or the train station of Gniezno can be provided. For full room and board at Biskupin, the total price will be c. 165€ / 650 PLN (Złoty). Please note that most rooms available in Biskupin are shared (double or triple rooms). We will book the rooms for you. Your accommodation expenses will be collected upon arrival. Please make sure that you are travelling to Biskupin with enough money in cash (€ or PLN). For the full symposium, the fee is 50€ / 200 PLN (student rate: 25€ / 100 PLN). If you like to stay for a shorter period of time, the fee is 15€ / 60 PLN per day (student rate: 7,50€ / 30 PLN). The fee covers technical support, coffee breaks, evening campfires, a guided tour to the archaeological park and museum, a boat tour on lake Biskupin, a train tour to Wenecja, and further activities not provided by participants of the symposium (workshops, presentations, etc.). The fee will be collected upon arrival.